Beastly Lights is a young adult romance novel about a young girl, Freya Coleman, who is gambled away by her brother to a famous musician, Liam Henderson. Freya is in need of money, and Liam is in need of a live-in maid. It seems like the perfect deal except Liam is a notorious drunk and a womaniser and Freya is a defiant, stubborn struggling artist. They’re so different, and so they (unsurprisingly) clash. I ended up loving this book, but the first 50 pages were a bit of a struggle. Freya seemed to have too much internal dialogue, and complained a little too much. There was a fair bit of info dumping in the opening chapters, and Freya seemed like she carried no backbone whatsoever. Her brother drunkenly gambles her away and she doesn’t’ really try very hard to stop him. “He won me in a bet,” I explained, crossing my arms angrily over my chest. “And where is Liam?” she asked, walking back out into the living room, me following obediently behind her. Despite these initial flaws, the story does improve. I started to really like Freya and I started to enjoy the quirks and banter between her and Liam. He seems like the kind of person who has always gotten what he wanted, except when she walked into his life and everything changed. Liam starts to care for her, and he sweeps her up into the fame that accompanies his job. I enjoyed the characterisation and the dialogue in the book. I think Theresa captured their dynamic really well and the writing was effortless. The development of the story at times was slow, but still enjoyable. There did feel like there was a fair bit of repetition in the plot that could’ve perhaps been condensed. Liam made an awful lot of mistakes, and then Freya just forgave him. And then he made another mistake. But Freya forgave him. And so on. After a while, it seemed a bit unrealistic and it made Freya look weak. I would’ve liked her to be just as defiant in the relationship as she seemed to be outside of the relationship. Despite all the time we had spent together, I still felt as if he was keeping his distance with me. I was frustrated, not only at him but myself. I couldn’t believe how much his distance was affecting me. I tried to convince myself that it didn’t, but deep down I knew it did. One of the strongest elements of the book are the secondary characters, in particular Liam’s publicist and her family, and Liam’s best friends and bandmates. Theresa has woven them into the story quite often and they provide comic relief and help drive the plot forward. Even Frey’s father and brother, despite being terrible people at some points in the novel, are intriguing characters and they really add depth to the book. 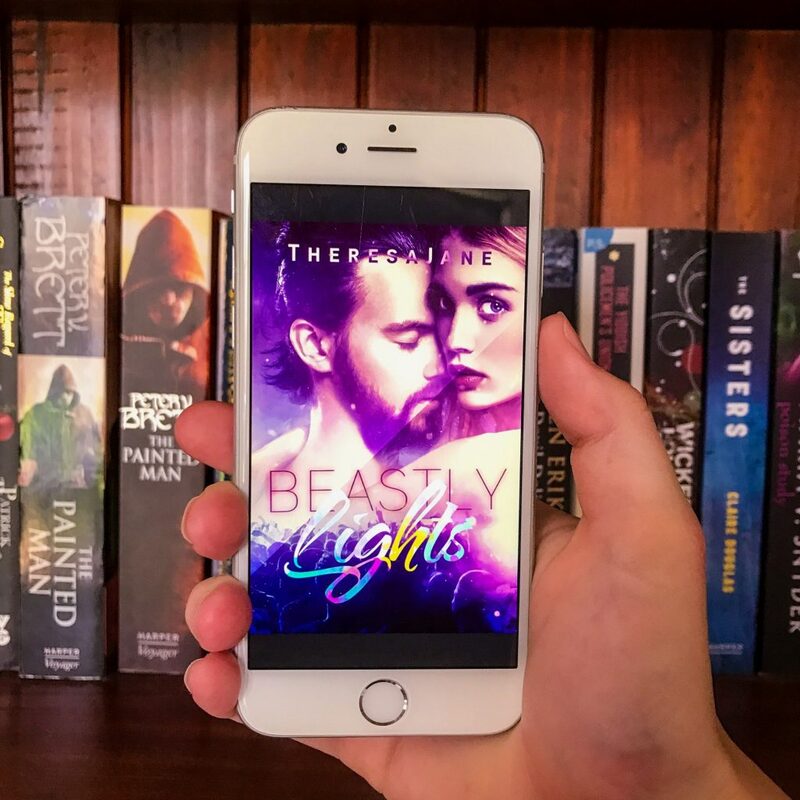 If you’re a lover of romance fiction and enjoy a good story with fantastic characters, then I’d definitely recommend Beastly Lights. It’s very Beauty and the Beast, which is awfully timely at the moment. There’s a lot of drama to keep you reading, and plenty of humour to make you laugh. 1. Congratulations on the publication of Beastly Lights. How did you find the writing process? It consumed my life. Especially at the start, when I couldn’t seem to get my thoughts down fast enough. Then as it got more complicated the process slowed down dramatically. It got to the point where I wasn’t writing for months and then I would come back and have to reread the whole thing just to figure out a direction. When I began I had a rough idea of where I wanted to get it was just a matter of getting from where the characters were to where they needed to be. I’m a night owl so I spent a lot of nights up till all hours writing and editing. Then regretting it the next day when I needed to go to university or work. I would write things on the train, in lectures and on notepads at work. And when I wasn’t writing, I was thinking about it. 2. Beastly Lights was originally fan fiction. How long were you writing fan fiction and how did your writing develop over that time? I started writing fan fiction when I was waiting for the third instalment of The Selection to come out. I was reading other stories on the site and kept thinking, I could write better than this, so I did. I was 19 and I had no idea what I was doing with my life (still don’t) and so I spent my time writing. I’ve never considered myself a writer and usually I have no idea what I’m doing. I just open up a word document or a notebook and hope for the best. Most of the time, I think my writing is the worst thing to ever be committed to paper but I keep writing anyway. In regard to my writing development, I couldn’t with all confidence say I am any better now than I was then, but I have gotten better at writing even when I don’t want to. 3. This book made me happy, sad, hopeful, frustrated and made me laugh a lot. What do you want readers to take away from the story? When I first planned this story out it was a play on the fairytale “Beauty and the Beast”. Originally, it was called The Beauty is the Beast and what I wanted to focus on was how the bright lights of fame often twisted beauty into something monstrous. It got a little messier than I had anticipated but mostly, I wanted people to see that to find yourself you first have to be brave enough to lose yourself. 4. In the book, Liam needs to learn to understand his past so that it doesn’t hinder his future with Freya. He also had a tendency to be quite possessive and difficult. Was it hard writing Liam’s character? It was very hard because I didn’t want to push people too far to the point of loathing him. I knew when I was writing him that people weren’t going to like him at first and whenever people would comment about it I would always tell them to just keep reading because there was something in him worth waiting for. It was hard when people said they didn’t like him because I knew his story and I knew what he was thinking but they didn’t get to see that until Freya did. 5. At times, Freya felt scared to say how she really felt. 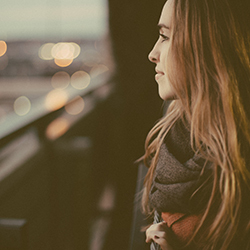 How important was it to you that she stood up for herself and expressed her feelings? Very important, when I was writing her a big problem for me was that maybe I wasn’t making her strong enough. I wanted to convey the uncertainty of her situation and how it can throw us off centre. Especially because in her life she was already uncertain of who she was and it was only magnified under the scrutiny of Liam’s life. It’s easy to lose ourselves. It’s also easy to judge her and ask why she wasn’t stronger but we see it all the time. We will endure a lot for love. Whether its love for your family, your friends or the one person you think you want to spend the rest of your life with. I wanted her to be strong but I didn’t want her to be inauthentic. 6. You’re a young writer. What advice would you give to people who want to take the plunge and write their own novel? Be prepared to lose sleep. Your ideas are going to hit you at the most inopportune times and you need to write them down. Otherwise, you’ll end up like I did, three weeks down the track trying to remember that random thought I had at four in the morning that was the best thought I’d ever had in my life. Of course it probably wasn’t, but that’s not what I was telling myself when I was trying to come up with something new. My only other piece of advice would be to never stop writing. Even when you think it’s rubbish. It’s better to write it and delete it later than to never write at all. You’ll be no worse off for writing it. Oh, and read. Always be reading. Hard question, what I’m reading generally depends on my mood but, on my bedside table right now is “The Circle,” by Dave Eggers. 8. How do you find the editing process? What tips would you give to other people editing their own work? I know this is probably going to sound awful but I hated it. Every time I reread my work I wanted to delete it. I tried to motivate myself by telling myself that it was the best part, that this is where the real writing happens but I wasn’t very persuasive. The most frustrating part was, even when I had read a chapter seventeen times over, it still was perfect. I’d say the only advice I have is don’t do it at 3am in the morning. You will not be successful in making it better than the first draft. And your future self will not thank you for it. 9. How did you find writing alternate POV? Did you find it easy jumping between Freya and Liam? Was it seamless? I’m always afraid when I jump from one POV to another that they won’t sound any different and people will get confused. It was especially hard with Liam because he’s a guy and I am most definitely not a guy and I can’t even begin to imagine what goes on inside a guy’s head . So, his point of view is probably my best summation of what I believe happens in a guy’s head, but who knows. 10. What else are you working on right now? Currently, I’ve got a few works in progress but nothing I’m especially sold on. Which is probably my way of saying that I had no idea I was ever going to get published and never thought anybody would ask me what I was doing next.